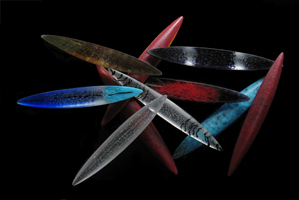 The classes offered include hands-on instruction and workshops introducing a variety of glass techniques along with more specific courses. 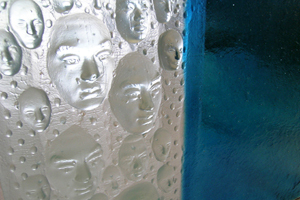 The School also brings in guest instructors for warm glass weekends and/or week-long concentrations and workshops. 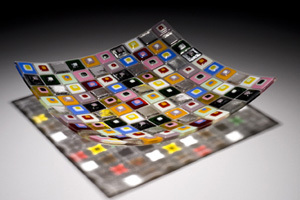 Current course offerings include beginning and advanced fusing, fusing with plate glass, cast glass and steel sculptural development, and architectural lighting. The focus is on the exploration and creation of artwork, sculpture and lighting, including jewelry and architectural elements (lighting, tiles, tables). Our classes are scheduled with urban living in mind, and are typically held on evenings and weekends. 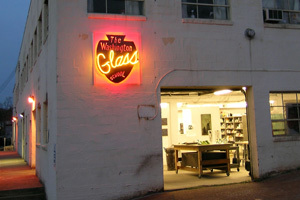 On Saturday, May 11th, Washington Glass School, along with the studios, art organizations, and galleries throughout the Gateway Arts District will open their doors to the public. The event is free and open to all. Over 100 individual artists will participate in the event, making the 2019 Spring Open Studios the region’s most prominent visual arts event. Audiences can attend art openings, artist demonstrations or purchase original artwork in an artist’s studio. This artist-led event presents a fantastic opportunity to connect with the region’s most important and economically vital centers of art production.